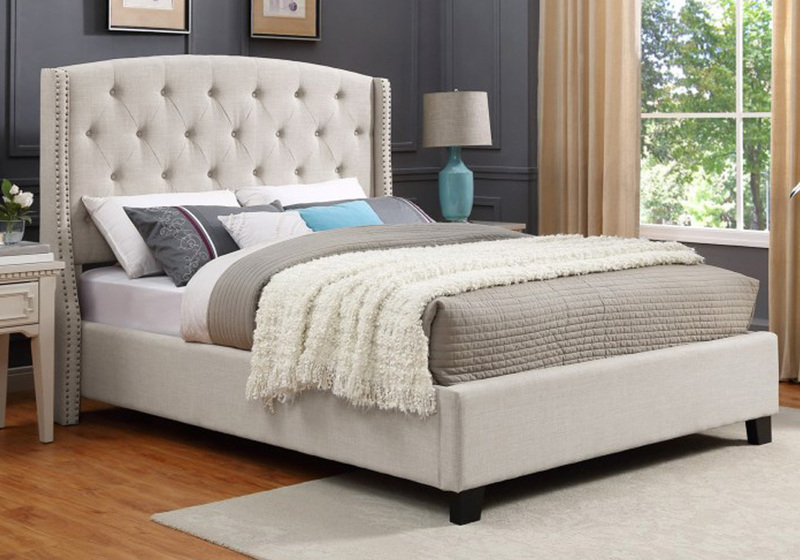 The Eva upholstered queen bed in ivory features a slightly-curved headboard accented with elegant details such as diamond button tufting and demi-wings. This upholstered bed perfectly defines the “relaxed vintage” style. Perfect for a master or guest bedroom, this stylish bed will work in either a traditional or contemporary setting.